Based in Hong Kong, DotVPN provides its users with free and paid proxy and VPN services and browser extensions similar to Hola. 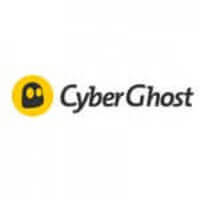 If you are looking for a free service that can help you unblock certain websites locked in your corner of the world, you’ll definitely appreciate what this company has to offer. Keep reading our honest DotVPN review to learn more about the company and its services and find out what it can do for you. DotVPN client is streamlined and easy to use. The main screen gives you information about your connection status and time, your server location, and blocked malicious activities. The UI changes colors when connected/disconnected, so you won’t have to guess whether your VPN is active or not. The on/off slider is located at the very top of the screen and is accompanied by a hamburger menu in the top left corner and settings cog icon in the top right corner. In other words, you won’t have to go through complicated menus and challenging navigations in order to access everything you need for DotVPN to work seamlessly. When it comes to free VPN services, speed tests always yield underwhelming results. Connecting to the service was pretty quick and without any difficulties during our tests on browsers and mobile devices. The speed test, on the other hand, left us rather disappointed with DotVPN. On average, our download speeds were at about 20% of their normal rate and our upload was basically nonexistent. We saw occasional spikes in download speed, but they didn’t last very long. Keep in mind that speeds are better with the paid plan. We did not encounter any DNS issues, but we spotted a WebRTC leak that unveiled our identity. We also experienced frequent disconnects and interruptions with the browser plug-in but had no such issues with the mobile app. All in all, DotVPN provided us with a pretty disappointing performance when it comes to overall download/upload speed and protecting our real identity online. On top of that, the experience was pretty shaky due to frequent disconnects. DotVPN supports some of the most popular platforms nowadays. You can install it on devices with iOS (8.0 and above) and Android (4.2 and above) and use it on Chrome (version 22 or newer), Firefox, and Opera. As you can see, the service does not currently support Windows and OSX. The company plans to implement versions for those platforms in the future, so we’ll just have to wait and see what happens. DotVPN currently supports up to 5 simultaneous connections across different devices (premium users only). DotVPN currently features 700 servers spread across 12 different countries. It also provides its users with unlimited bandwidth and server switching and automatically connects you to the least busy server in your selected virtual location. As we already mentioned in the previous section of our DotVPN review, the VPN provider allows up to 5 simultaneous connections to premium users. The apps and server extensions allow you to block trackers, ads, and analytics on your desktop and mobile devices and save up to 30% of data traffic with integrated compression. The company features proprietary DNS servers, which adds a bulletproof layer of protection against any possibility of DNS leaks. 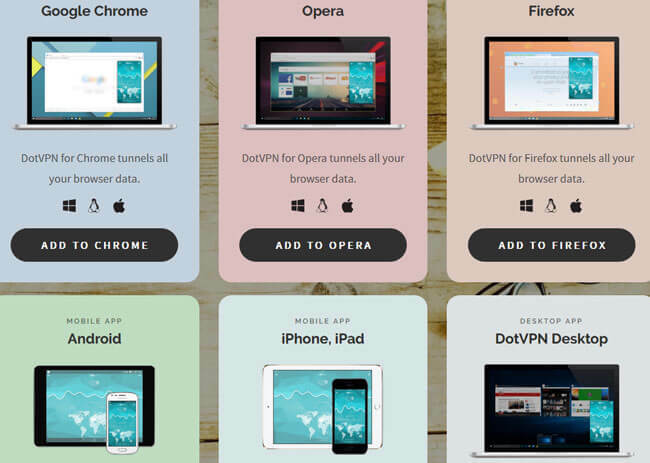 Furthermore, DotVPN promises never to route other users through your devices. DotVPN also allows you to access all geo-restricted websites and services and bypass ISP throttling. All DotVPN software is very straightforward and easy to use, so you shouldn’t have any problems setting up and utilizing your VPN to its full potential even if you are just starting out with VPNs and online security services. During our initial research for this DotVPN review, we identified Smart Security Ltd. as its parent company. The company seems to be registered in Hong Kong, but that’s all the information we were able to find. We don’t know anything else about this company as we couldn’t find any contact info or locate its official website. To a layman, this might appear as a small issue, but not having any information on the parent company of any VPN service definitely raises some security concerns. DotVPN uses SSL-proxy connection with 4096-bit keys for its browser extensions, OpenVPN protocol for Android and desktop connections, and IPSec for iOS. Hong Kong doesn’t have any data retention laws, which is excellent news for all VPN users. This means that DotVPN doesn’t have a legal obligation to save or record your data. Having said that, the company does keep some connection details and connection logs. This shouldn’t be a big problem, especially for users only interested in using DotVPN to access geo-restricted websites. Bottom line, if you value your privacy and security above everything else, DotVPN is not a perfect solution for you. You should view this service primarily as a tool for unblocking restricted online content and not for data protection. DotVPN support team can only be contacted through a ticket system. The absence of phone or live chat support feels quite underwhelming, especially if you opt for the premium subscription. Our response arrived in about an hour, which is not optimal if you require urgent help. On top of that, the level of English in our received message was rather poor considering the English name of the support team member. This just adds to our suspicions regarding the overall level of security provided by DotVPN. DotVPN also doesn’t have any presence on social media platforms like Facebook or Twitter. This makes it impossible to contact the company quickly if you need some information asap. The official website does feature a small FAQ section, which includes some answers to generic VPN questions. 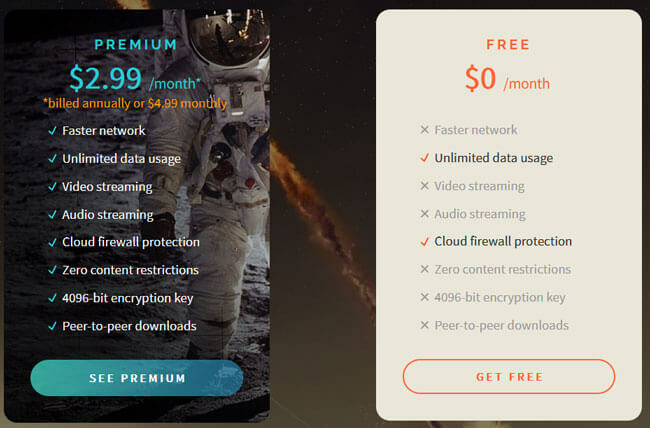 You can use DotVPN software absolutely free of charge, but you are basically forced to pay for your subscription due to heavy limitations that make this plan a VPN in name only. With the free DotVPN plan, you only get cloud firewall protection and unlimited data usage. The Premium plan is charged $2.99 per month if you subscribe for an entire year and $4.99 if you decide to pay on a month-to-month basis. This plan gives you access to a faster network, unlimited data usage, video & audio streaming, 4096-bit encryption, and P2P downloads. If you’re not satisfied with the service, you’re entitled to a full refund within 30 days from the date of your order. However, you’ll only receive a full refund if you haven’t exceeded 10 GB of bandwidth and 100 connections. As we wrap up this DotVPN review, here’s a quick overview of the features that wowed us and the aspects of the service that could use some improvement. Our ratings are the result of an objective and independent evaluation of DotVPN, generating the final rating that reflects the overall quality of the company. Ratings may change as the service changes. DotVPN user rating based on 3 user reviews. The reviews listed below reflect the opinions and experiences of real users and are in no way influenced by VPN providers. Before publishing each review, our team checks whether it was submitted by an actual user in an effort to prevent false or spammy reviews. We found 0 verified DotVPN discounts for April, 2019. There are no DotVPN coupons or discounts right now. Discover the full range of possibilities DotVPN offers and become an advanced user in no time with our beginner-friendly DotVPN guides. Whether you are interested in secure torrenting, unblocking Netflix, setting up DotVPN on all your devices or you simply want to learn more about DotVPN, you can find verified information and clear instructions in our DotVPN guides below.